The provincial government’s recently introduced Professional Governance Act (Bill 49-2018) created the office of Superintendent of Professional Governance in order “to ensure consistency and best practices are applied in the work of qualified professionals.” One aspect of the superintendent’s authority is the ability to define “rosters”. So what’s a roster, and will rosters matter to local communities? The details aren’t yet clear, but in general rosters are intended to be a government-vetted list of professionals who have sufficient qualifications and experience to make professional recommendations concerning high risk undertakings. The goal is to ensure only properly qualified people are hired by industry (and government) to perform work that could significantly damage “the public interest” if done wrong. Many BCCFR member organizations have been arguing for years that only professionals with significant experience and training in watershed protection should be utilized when determining whether the community’s watershed can withstand the impact of planned harvesting (or mining, or roads, or whatever). So the question is, how would a roster help? Long term, it could be that community complaints will finally start to have a real impact. That is assuming a professional with too many public complaints is putting his or her roster-status at risk. Simply put, if validated public complaints result in a professional being taken off the roster, then the concerns of local communities might be taken more seriously. So rosters may indeed bring us closer to BCCFR’s goal — to give local communities a real voice in how forestry is managed in our communities and watersheds. 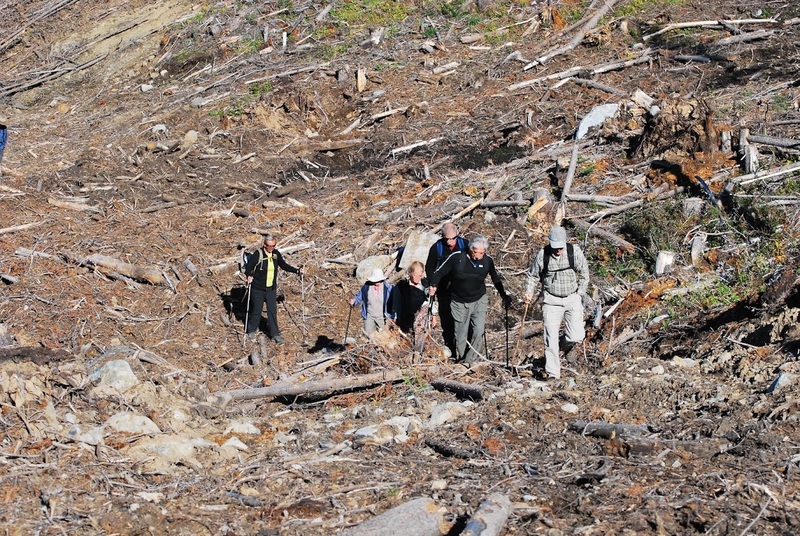 However, that is only true if rosters are applied to the high risk activity of logging in community watersheds. For that reason, we call on FLNRO to make sure that’s the case.